Our students learned how to create a blanket made from all those favorite T-Shirts and old blue jeans they had been gathering over the years that hold special memories for them or a family member. Blankets were put together in class and finished at home or with a portable sewing machine provided by the student. We had a fun filled evening. 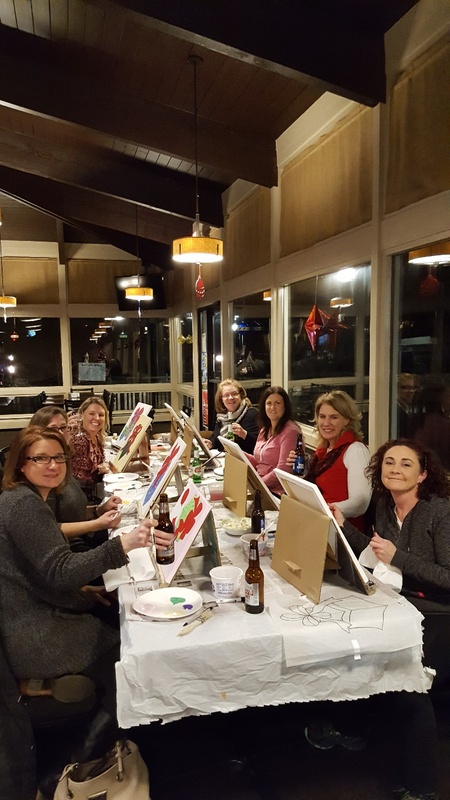 Hosted at Stewarts in St. Clair Shores, our instructor and artist, Diane Krempa, guided us through the wonderful world of painting and artistry. We created many different artistic creations with our canvas, paint and brushes.